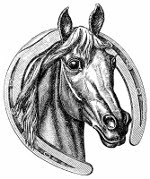 Professional Horseshoeing & Trimming Inc.
Hello, I am Simon of, "Simon K. Musler Professional Horseshoeing & Trimming." I have been in the business for over 25 years. I was born in Fort Myers, and raised in Alva, Florida. I trained under a very knowledgeable and expert horseman for 4 years. He was a local trainer and had also shod horses in his lengthy career. I went to Oklahoma Horseshoeing School, attended several clinics on management and handling of horses, attended several clinics with world renowned farriers, and I keep up with continuing education. I work very hard for the betterment of the horse, as well as the rider, and balancing horse and rider. I do orthopedic work as well as therapeutic work and have 34 years of veterinarian assistant experience behind me. I work very hard to keep up with the ever changing technology with horse's and products in the industry. When I work on horses, I try to pay attention to the whole horse, it's environment, as well as it's surroundings. Has been in business a long time. Knows what he is doing. Copyright © 2012 - Simon Musler. All Rights Reserved.